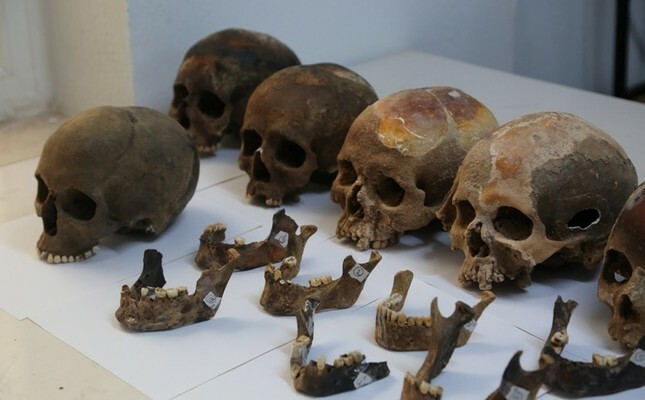 "[The skeletons] hold important data that could shed light on biological and morphological features of the peoples of that era," the Chalcolithic and Early Bronze Ages, anthropologist Nalan Damla Yılmaz Usta told Anadolu Agency on Wednesday, announcing the find. The prehistoric people probably used the depths of the cave as a kind of tomb, she said, adding that there were also other archeological findings in the cave apart from the skeletons. "Among these, we also came across gifts for the dead. Some skeletons feature burn marks. This, of course, gives us clues about their burying rituals; perhaps these marks occurred when they tried to treat the sick and purify them from illnesses."